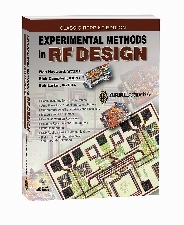 ARRL Life Member Bob De Varney, W1ICW, a professional radio communication technician and avid experimenter said, "This is a...classic, extremely good text on designing circuits for the ham. If you do any building at all and want to know the 'why' behind things, this is a very worthwhile addition to your bookshelf." This work is successor to the widely popular Solid-State Design for the Radio Amateur, published in 1977. Disclaimer: this Classic Reprint Edition of a previous ARRL publication contains outdated content and references that may no longer be relevant or valid. Software referenced throughout the book is not included and not available. A CD-ROM is included with two additional Classic Editions (scans of printed books in PDF format) written by Wes Hayward, W7ZOI.